The Emerson 5x8 Rug by Oriental Weavers at Miskelly Furniture in the Jackson, Pearl, Madison, Ridgeland, Flowood Mississippi area. Product availability may vary. Contact us for the most current availability on this product. Emerson adds depth to your design space with an assortment of styles covering all genres from contemporary to transitional to modern traditional. Accented with breathtaking, vivid accent colors, Emerson is a perfect way to introduce new colors to an existing palette. 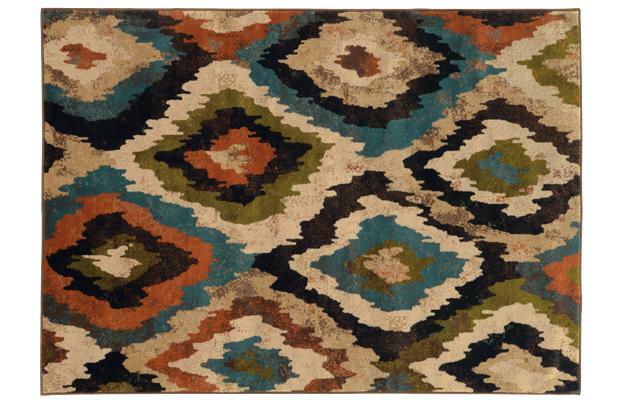 These competitively priced rugs present a tremendous value for any home. The Emerson collection is a great option if you are looking for Rugs in the Jackson, Pearl, Madison, Ridgeland, Flowood Mississippi area.